Loss of data can be a traumatic experience but if you go to the wrong data recovery company lacking enough experience or the right equipment to perform a successful hard drive recovery, it can also cost you even more, not just financially but also you may end up losing your data forever. It is like going to the right specialist when you have a health problem. It is wrong to go to a GP surgery and expect to be operated by the GP on the doctor’s examination bed using non-sterile environment and tools! Unfortunately these days there so many inexperienced computer companies who claim or pretend to be data recovery companies without having the right skills, training, equipment and controlled environment. 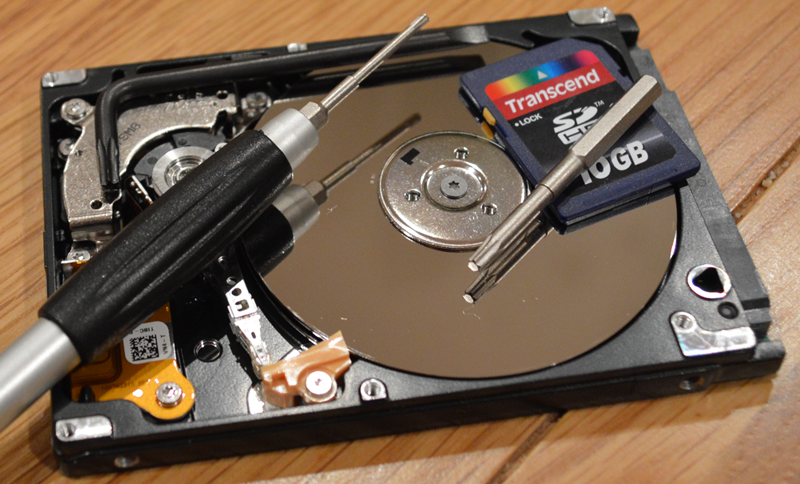 A specialist data recovery company must have extensive expertise and the right equipment and environment with a thorough knowledge of hard drives and digital storage devices in order to be able to perform a successful data recovery task just as a surgeon must have a lot of experience, training and knowledge in his specialist field and have a clean and sterile operating theatre with the right tools to perform a successful operation. If you have lost data, you certainly do not want to entrust your faulty hard drive for data recovery to an inexperienced, untrained individual or company who may even cause more damage than good. 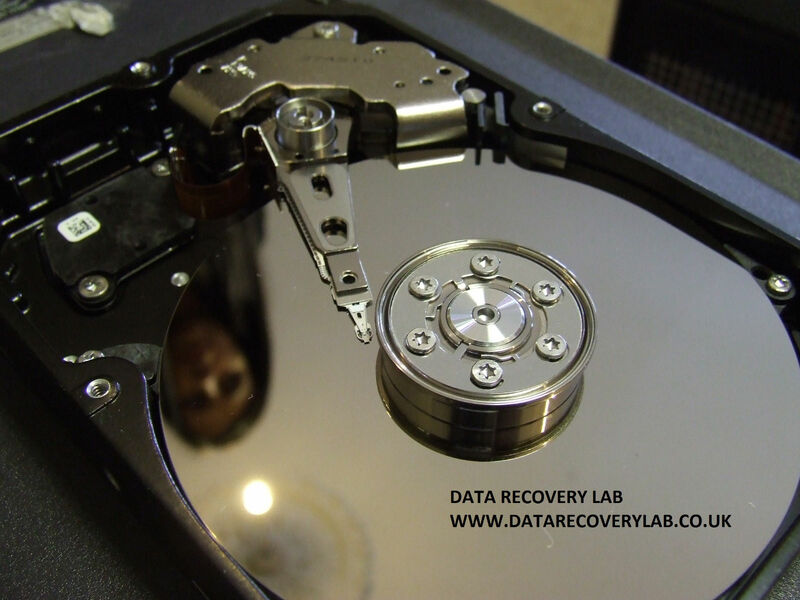 Data Recovery Lab has been in the business of hard drive recovery since 2001. Our data recovery specialists have extensive knowledge and expertise and receive regular technical training and are the best in their class of work. Data Recovery Lab has a well-equipped, ISO-certified lab for data recovery which has helped many IT support companies, corporate businesses and private individuals in the UK and EU retrieve their priceless data. Our commitment to our customers and excellent record in data recovery has been a major factor in our success as a premier data recovery company in the UK. Currently we serve over a thousand IT support and computer repair companies across the UK and EU who send their clients’ faulty hard drives to our London lab for data recovery. See some of these testimonials here. Data Recovery Lab serves all corporate and private customers in various locations in the UK. The most important hard drive recovery provision is FREE hard drive collection wherever in the UK mainland you are. This is for those customers who cannot call into our lab in London. Customers can also send their faulty hard drives, memory sticks or laptops for data recovery via Special Delivery or their chosen courier. For emergencies, we can arrange for same day collections at reasonable charge. For the FREE collection of the faulty disk. Just fill in collection form to arrange for a collection. You need to make sure someone is present in your premises on the day the booking is made. THE BEST OPTION IS TO PACKAGE THE HARD DRIVE AND TAKE IT TO WORK IF YOU ARE A PRIVATE INDIVIDUAL. Just input your work address for courier collection. The cost of data recovery depends on the complexity of the task and the extent of damage to the hard drive and the number of donor hard drives used. Once the exact cost of data recovery is determined after inspection, it will NOT change.When we receive the faulty hard drive we will provide our customers with a FREE and NO obligation analysis and a FREE firm quote. Just bring your media to our workshop or follow the shipping instructions and send it to us in a well-padded secure box enclosing the MEDIA SHIPPING FORM. You can find the media shipping form here. You can also request a FREE collection, HERE. If you need to discuss your data recovery needs further, please do not hesitate to speak to one our data technicians by calling 0207 516 1077 between 9:30am-7.45pm or 07538 071 627 for an emergency or outside hours. BIG NOTE: Even if you accept the quote, you will ONLY pay if we have successfully recovered your data. We ALWAYS provide a file listing of the recovered data together with the invoice. Furthermore, we do NOT charge for parts, or diagnosis or quotes! PLEASE DO NOT POWER UP THE DISK OR USE ANY DATA RECOVERY SOFTWARE. THIS MAY DAMAGE THE FAULTY DISK FURTHER.